Well customised and improved for years, these tour packages invite all family, couple, groups and individuals. To make your trip planning easy, we have listed below some of the most travelled national parks in India. We have picked a number of tourist preferred wildlife resorts from across India. So, making a choice is not difficult now. 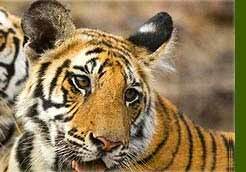 East India Wildlife Tour will cover whole of the East India in a single tour. 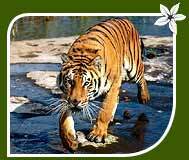 Visit to Manas National Park, Manas Tiger Reserve-Guwahati and Kaziranga National Park Jorhet are the major highlights of this tour package. 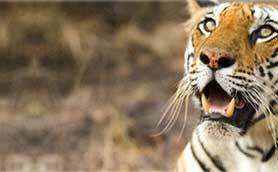 The tour package will be a great opportunity for wildlife tourists to witness the wildlife of these national parks and tiger reserves. The tourists who haven't visited this generally unexplored region of the country would find this tour package really interesting. You will have a rare opportunity to tigers, Elephants, gaur and the golden langur, great Indian One Horned Rhinoceros, swamp deer or Barasingha, Hog Deer, Sloth Bears, Leopard Cats, Jungle Cats, Otters, Hog Badgers, Capped Langurs, Hoolock Gibbons, Wild Boar, Jackal, Wild Buffalo, Pythons and Monitor Lizards etc. Arrive Delhi. Meeting & Greeting at Airport & transfer to hotel for overnight stay. After breakfast transfer to Airport to connect flight for Guwahati. On arrival at Guwahati drive to Manas National Park. On arrival transfer to hotel. Overnight at hotel. Game viewing in the park. The Manas Tiger Reserve on the Bhutan border is home for tigers, Rhinos, Elephants, gaur and the golden langur. Overnight at the forest lodge. After breakfast drive to Guwahati. On arrival transfer to hotel. Evening optional visit Srimanta Shakerdeva Kalashetra. Overnight at hotel. After breakfast drive to Kaziranga National Park. On arrival transfer to hotel. Kaziranza National Park - a world Heritage site, is a home to more than 75% of the worlds population of the great Indian One Horned Rhinoceros. 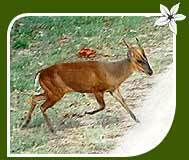 Also harbour swamp deer or Barasingha, Hog Deer, Sloth Bears, Tigers, Leopard Cats, Jungle Cats, Otters, Hog Badgers, Capped Langurs, Hoolock Gibbons, Wild Boar, Jackal, Wild Buffalo, Pythons, Monitor Lizards, etc. Overnight at the forest lodge. Early morning, go for an elephant safari to the central range of the park followed by a jeep safari after breakfast to the western range of the park. Post lunch, visit the eastern range of the park by jeep. Evening at leisure. Overnight at hotel. After early breakfast go for trekking at Panbari Range - a reserve forest and a natural corridor to the adjoining Karbi Hills. See Woodland birds like the Shama, Paradise Flycatcher etc. Later drive to Jorhat (approx 97 Kms. 2 hrs. drive). On arrival at Jorhat transfer to Airport to connect flight for Calcutta. From Calcutta connect onward flight.